Okay, so I love to make most things from scratch… sauces, stocks, pretty much everything I make. Therefore, I must come clean. 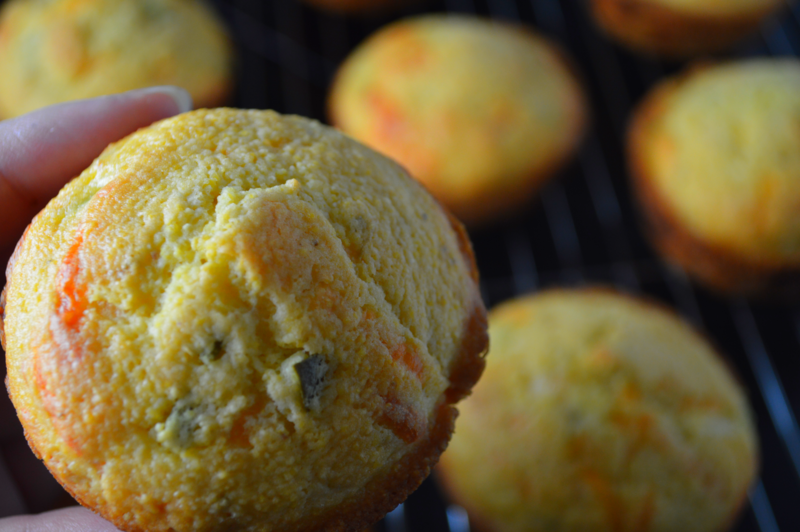 These jalapeno cheddar cornbread start out with a boxed cornbread mix. I know! I know! But you can’t even tell. I spruce them up so much with spicy jalapenos, cheddar cheese, and green onions. They are the best accompaniment to chili I have found yet. I wasn’t originally planning on making muffins, but I am so happy that I did. 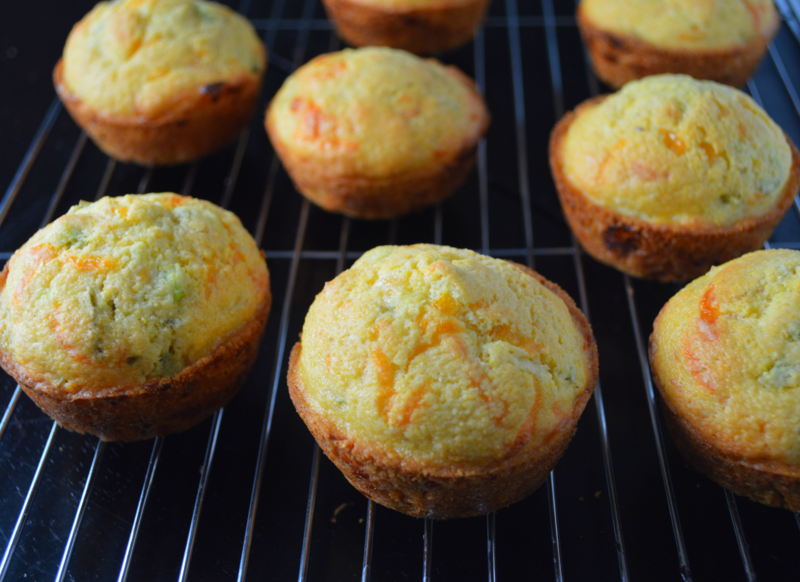 Each individual muffin gets this delicious golden brown cheddar-y crust all the way around the muffin bottom that you wouldn’t get in a regular baking dish. I didn’t use muffin tin liners either; just a healthy spritzing of cooking spray. I like to spray the tops, too. This allows every surface to live up to its golden cheesy cornbread potential. I was extremely happy with the balance of these muffins. 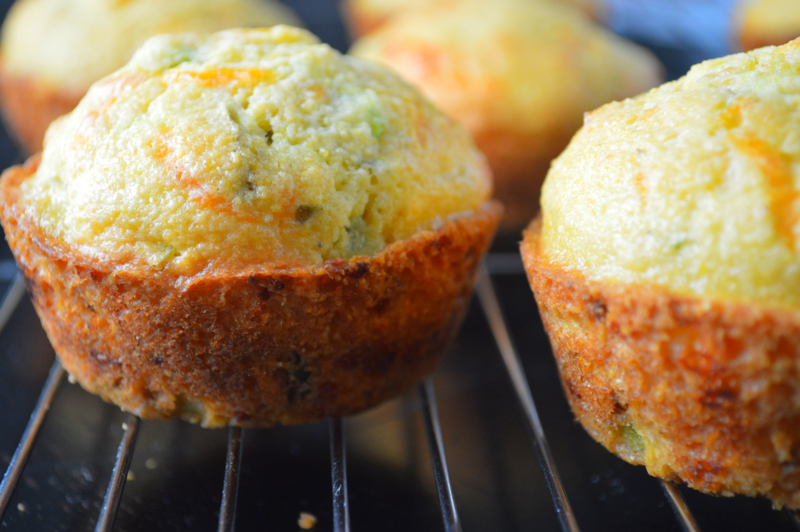 You get the spice of the pickled jalapenos, the richness of the cheddar, the bite of onion, and a touch of sweetness from the cornbread. Eat these hot out of the oven with a big bowl of chili and you will be in fall food bliss. Mix together cornbread mix, milk, egg, cheese, jalapeno, and green onions. Let the batter sit for a couple of minutes. It will puff up a little bit. Spray the muffin tins with cooking spray and divide batter into 8 muffin tins. Spray the tops with cooking spray. Bake for 12-15 minutes until the muffins are nice and golden brown.